Just actions and social structures enhance beauty of experience, while unjust actions and social structures deface beauty of experience and limit personal possibilities. Accordingly, we can assert that God is on the side of beauty and justice and seeks relationships and institutions that promote creative, intense, meaningful, and beautiful experiences. Following up on this topic, Bruce looks at the question of punishment -- whether God's justice requires punishment and what that might look like. I think you'll find Bruce's ponderings thought provoking! Soon after God created Adam, God noticed that the man was lonely. Feeling sorry for him, God decided to fix the problem by creating animals and sending them one by one to Adam. Adam gave them names, but his loneliness didn’t go away. Not even the dogs, who are our best friends, nor the cats, who can be good companions – just don’t have too many of them – could fill the void that Adam was experiencing. Interestingly enough, not even Adam’s relationship with the Creator would suffice, and so God decided to create a companion who was perfectly fit for the man. When Adam saw the woman, he said to God: you got it right this time. She’s bone of my bone, and flesh of my flesh. 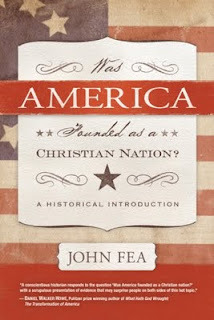 WAS AMERICA FOUNDED AS A CHRISTIAN NATION? A Historical Introduction. By John Fea.Louisville:WJK Press, 2011.Xxvii +287 pages. Are justice and love competing values or are they partners? I think the answer to this question is rooted in definitions. If we start with the definitions offered by the American legal system, then perhaps that's not possible. But when we work with biblical terms, it might be different. Scripture offers a variety of definitions of justice, some of which are suggestive of vindication and punishment, but there are other definitions that suggest something very different. Of course, how we define love is involved as well.